Unpacking for the holidays is always a fun time, but having to repack all the decorations and decor is much less fun. 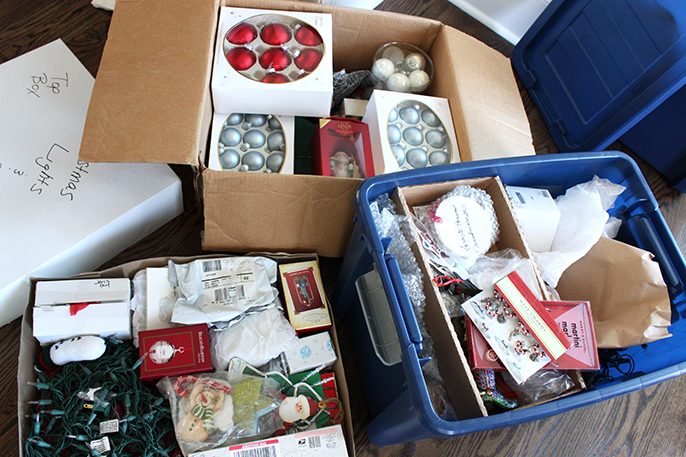 Between ornaments getting destroyed and attempting to fit everything into boxes, packing up the decorations can almost make the joy and festivity of the decor not worth it. But instead of getting trapped in this situation, there are ways of going about organizing and packing your holiday decor storage that will make your job this year, and your job unpacking next year, much easier. No one method is going to work for every situation, but taking advantage of the tips below and letting them inspire your own storage solutions can make all the difference - and help you hold onto holiday cheer well into the new year! Christmas ornaments are some of the most difficult things to pack - they’re small, fragile, lots of different shapes, and often hold a ton of sentimental value. But there are ways to pack them this year that will keep them from getting destroyed, along with making the act of packing them easier. When you receive special ornaments as gifts, try to keep the the packaging they came in, as they usually are the best to keep them safe while in storage. 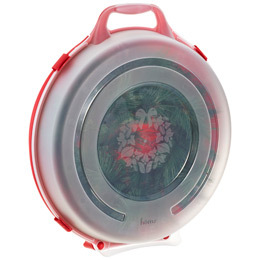 For other ornaments, solutions such as ornament boxes from the Container Store or Target give individual pockets for each ornament. For those that are different shapes than just the regular round ones, a great solution is to shred wrapping paper from opened gifts and use it as padding. The ornament box will be better able to absorb shocks if it gets jostled around in the packing up process. 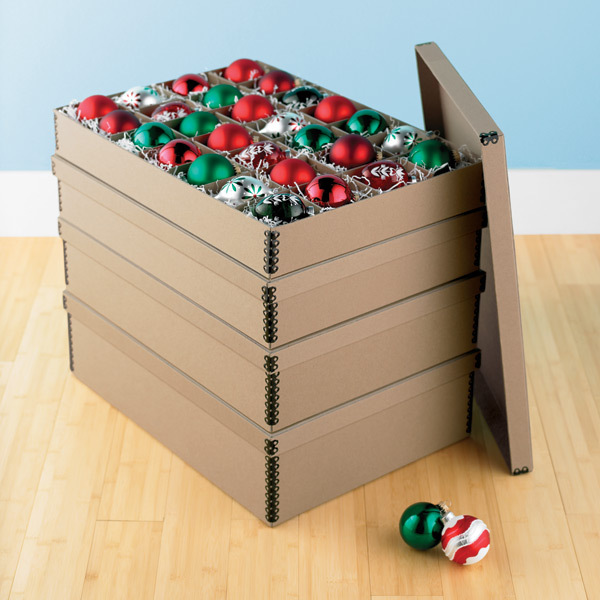 Of course, you’ll also want to make sure you pay attention to where you put the ornament boxes - make sure they’re on the top of other boxes, as they’re fairly light and might be fragile, and place the ones you use first at the top of the stack. 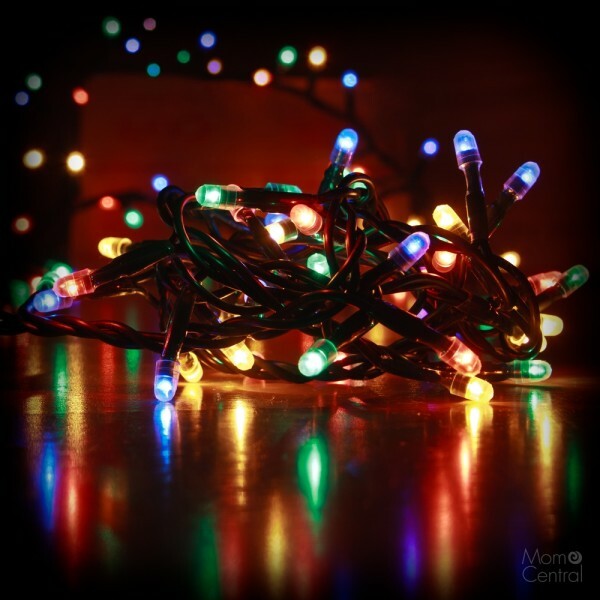 From stockings to nativity scenes to Christmas tree/outdoor lights, there can be a lot of decorations to organize and put away. If you still have a chance this year, or planning for next year, use the same container that you’re taking those decorations out of to store usual decorations you no longer have room for. At the end of the season, you can switch them out again without having to find more spaces for storage. In terms of storing holiday decor when not in season, make sure you’re storing the heavier pieces on the bottom, and the lighter pieces on top for the least damage. Plus, when you pack them, pack in order: the things you put out last go in the box first and things you put out first go in the box last. That way, when you unpack next year, the things you put out first are right there on the top of the box so you don’t have to unpack everything to start putting things out. 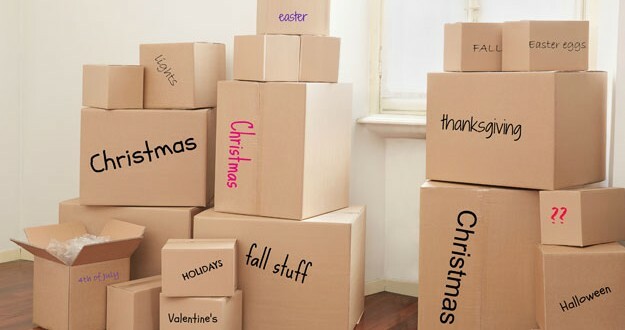 Finally, make sure you label each box with its contents and the holiday they’re for, so there’s no searching for one particular piece of decor when you need it. If you have the space, keep outdoor decorations stored in the garage or a storage shed nearby so they’re on hand when you need them. If you use an artificial tree, try finding a case for it with wheels and storing it in a space on the same level (keep it in the basement or on the first floor, if you can). That way you won’t risk damaging it by carrying it up a few flights of stairs. For things like wreaths and landscaping decor, it can be hard to know how to store them the best way, and every piece is going to be a little bit different. There are both hard and soft options for wreath storage, and they come in a variety of sizes, so you can find an option for both storebought wreaths and homemade versions. Outdoor decorations, particularly large figures, can be covered with plastic, labeled, and stored, but make sure they’re clean before you put them away or you’ll be in for heavier-duty cleaning next year. 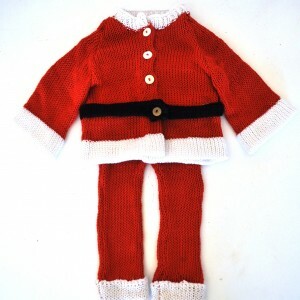 Have a Santa Claus outfit that you’re worried about preserving from year to year? Treat it like a wedding dress: have it dry cleaned and pressed, and seal it in an airtight bag until you’re ready for it next year.